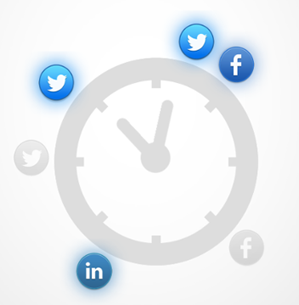 We've previously covered information about the best time to post to the most popular social media networks. However, since the exact time that's best for one business may be different for another, it's worth your time to run some experiments. Then you can look at your analytics and see exactly when you should be sharing. You'll want to do this type of social media monitoring separately for both Twitter and Facebook, as well as any other social networks where you have an active presence. Sharing too much content through your social media profiles will cause people to get frustrated and stop following you. But not sharing enough can lead to them forgetting about you and your business. And with Facebook, the frequency of your sharing can also be a factor that's weighed by their algorithm that's responsible for determining the visibility of your posts. Those are all reasons why it's important to figure out the right amount of content to share.As with the previous tip, the answer to this question may be different for Twitter than it is for Facebook. Fortunately, utilizing analytics will make it fairly simple to see how different sharing frequencies impact the overall engagement you attract on each site that you use. When you share a blog post or other piece of content, you want as many people as possible to read it. In order for that to happen, people first have to click the link. 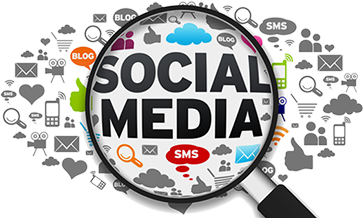 With the help of social media tracking, you can answer questions like whether links with a quote or by themselves get more clicks. Because the social media landscape is so diverse, it makes sense to have a presence on multiple sites. However, it also makes sense to put more effort into the site(s) that drive the most new customers to you. By utilizing social analytics for conversion tracking, you can hone your social strategy to help maximize revenue.As long as you start utilizing the information we covered today, you'll be able to use your social media analytics program to get even better results from your online marketing efforts. Need a social media dashboard? Try Send Social Media for 14 days free! Original post can be found on Send Social Media.